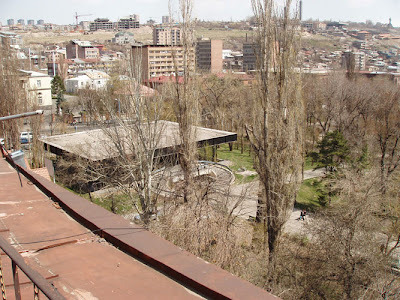 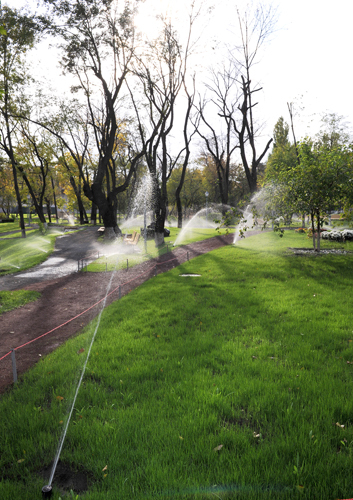 The so-called Pushkin park (situated on Baghramyan avenue) used to be one of the most favorite places for many Yerevanians. 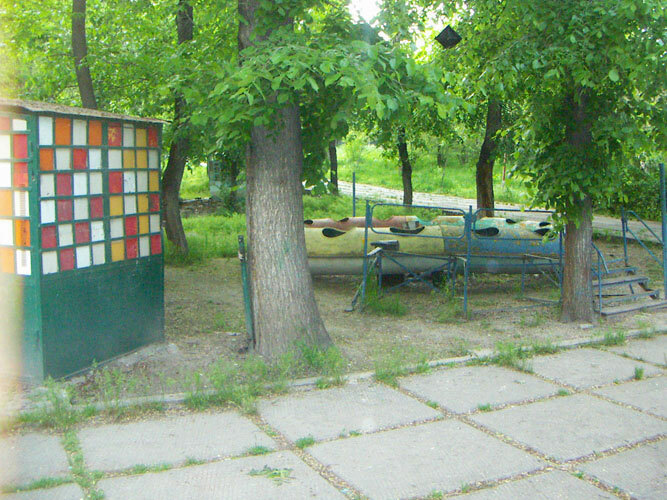 Huge trees, green areas, merry-go-rounds, happily screaming children, young mothers with baby carriages and old wooden benches – all these will always remain in the childhood memories of many people. In the recent years the park was, mildly said, in a poor condition – the merry-go-rounds were silent and the trees stood alone with no children playing hide-and-sick around them. 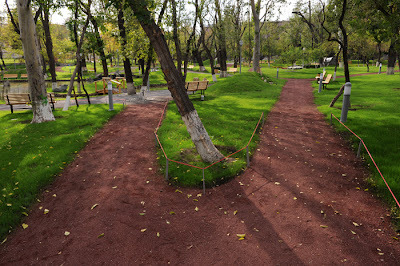 In 2006 the park was temporarily closed to public, fortunately, for reconstruction works. 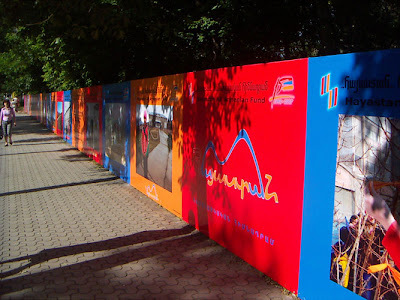 Posters depicting the new design of the park appeared on Baghramyan avenue. 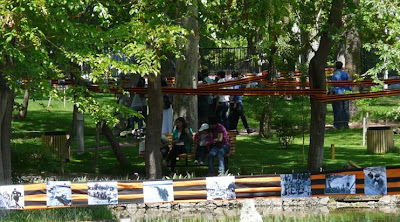 People who had left nice memories in the park, filled with hope and expectations. In 2009 the park, renamed as the Lover’s Park, was reopened. Soon it became a favorite place not only for lovers. It is just wonderful for evening walks, for meetings with friends and for the first dates. 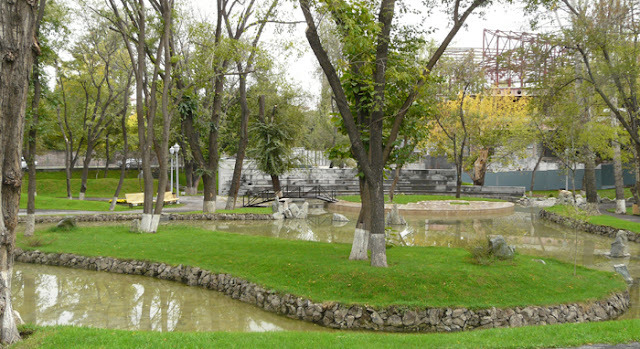 The new park does not remind the old one, the design is completely modified. Fortunately, the green areas have been preserved. 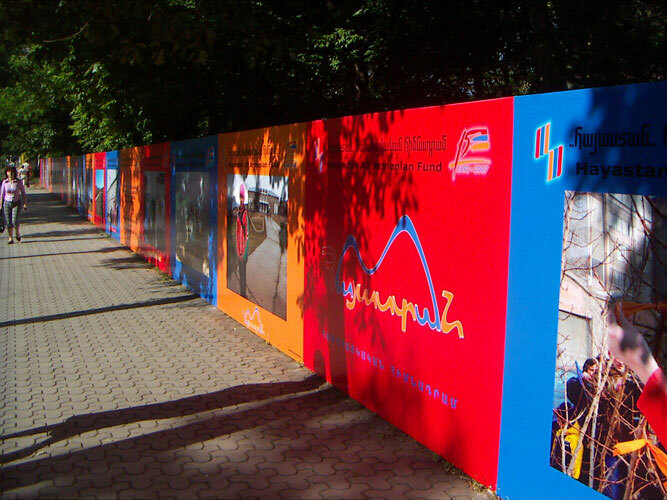 Now they have a more modern look in contrast with the red color of the sand. 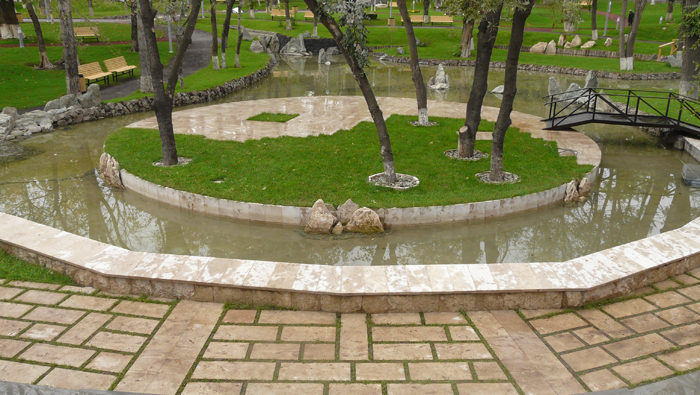 Several small fountains, waterfalls and a small pond were added to the park, the old benches were replaced with new ones. 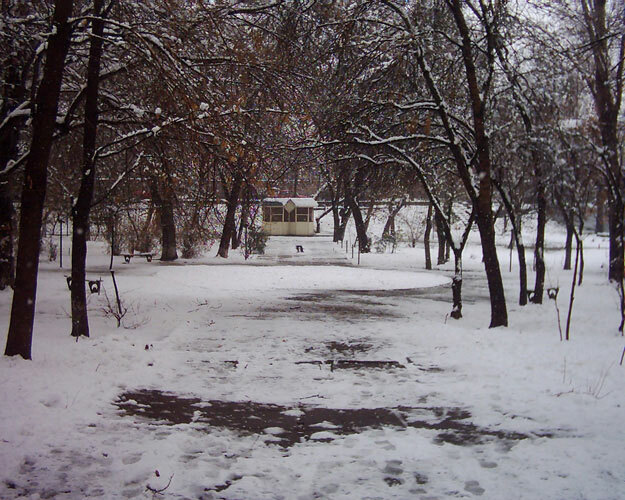 The most important thing, however, is the warm and welcoming atmosphere that the Lovers’ Park inherited from the old Pushkin Park. 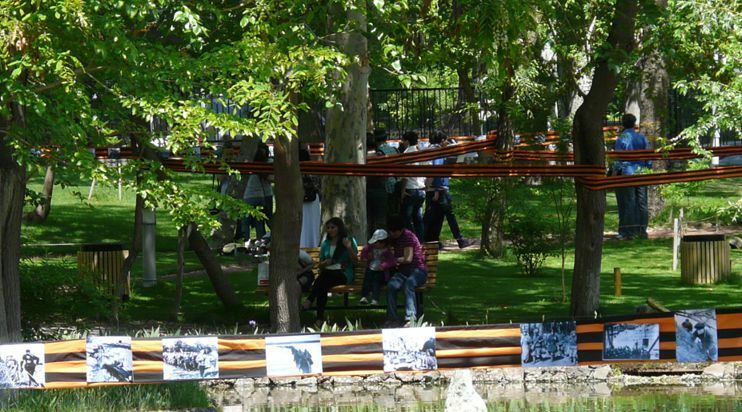 Today different events, festivals, open-air exhibitions are organized in the park. 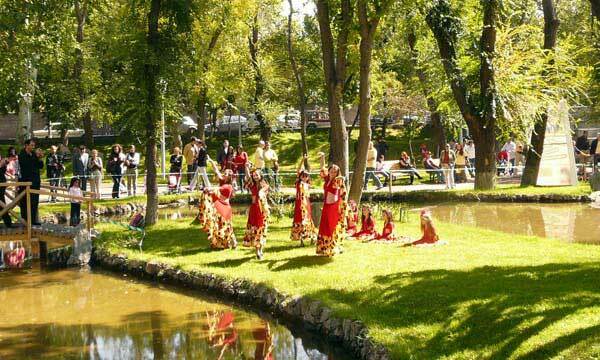 It is also the most popular place for wedding photo-shooting. 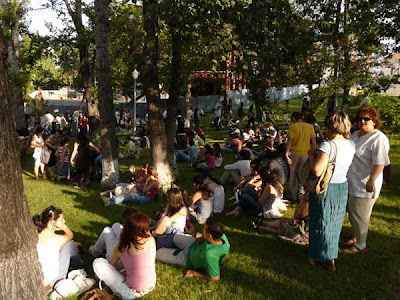 You will definitely meet a newly-wed couple in the park on Saturday and Sunday afternoons.